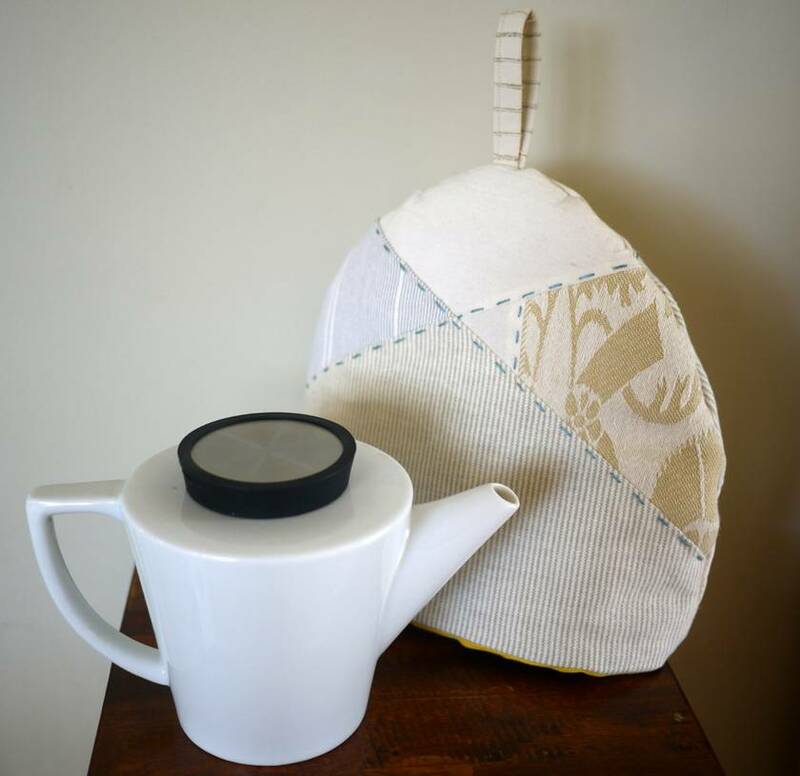 This tea cosy is made by hand in Christchurch. 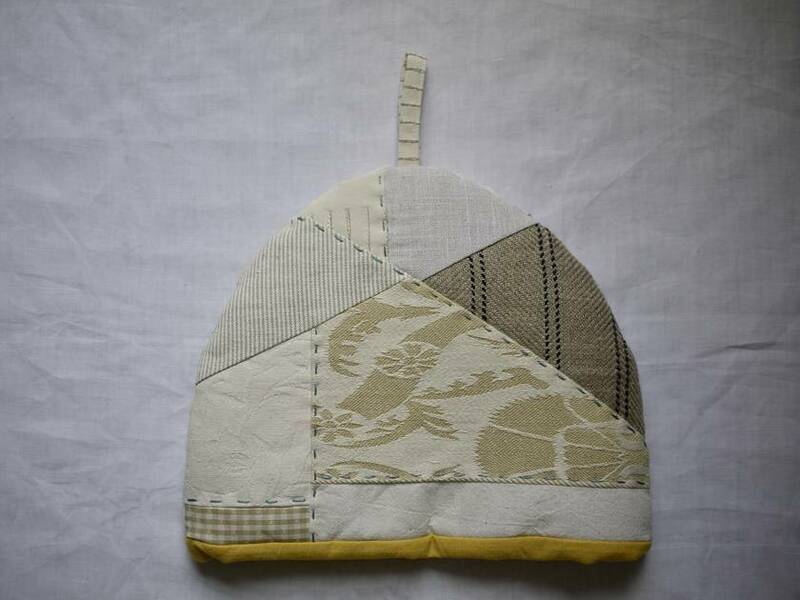 It is fully lined in buttery yellow cotton and is washable. The fabrics are a mixture of cottons and linens and the batting is 100% polyester. 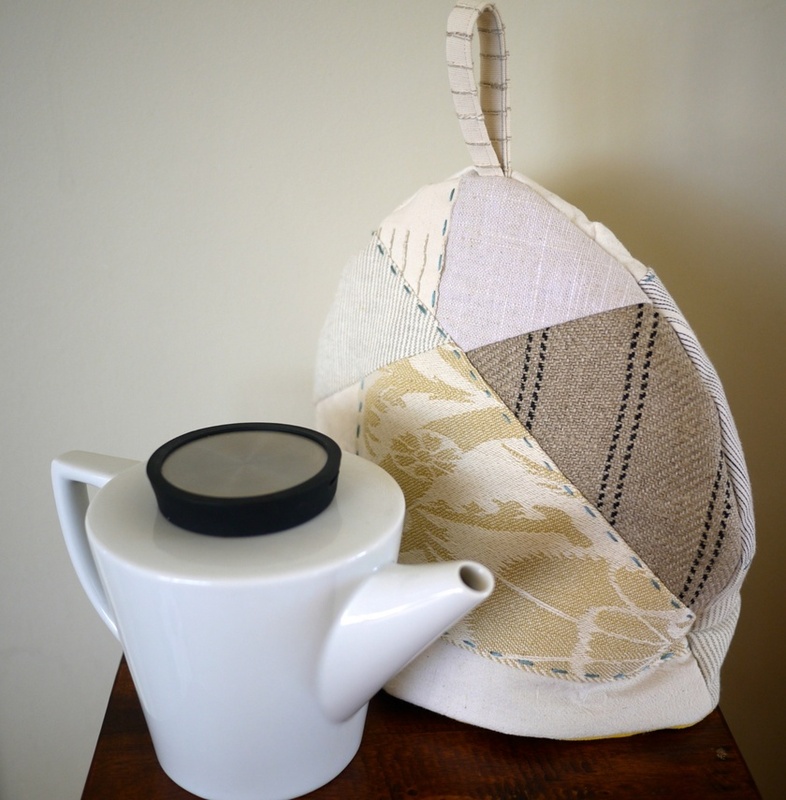 It fits over a 26cm wide (including the spout and handle) teapot that is 16cm high. The interior height of the cosy is 25cm and the width is 33cm.